CKD Galbraith and Hayes Macfarlane have today completed their merger that strengthens the expertise and network of Scotland's leading independent property consultancy. The merger adds to CKD Galbraith's extensive presence across Scotland, with 14 offices located in Edinburgh, Stirling, Perth, Cupar, Inverness, Aberfeldy, Castle Douglas, Ayr, Elgin, Galashiels, Kelso, Peebles - and now Alyth and Aberdeen that provide a comprehensive range of consultancy services spanning the property, agriculture and rural sectors. James Galbraith, chairman of CKD Galbraith, said: "We are delighted to welcome the staff of Hayes Macfarlane to CKD Galbraith today. "The chance to join forces with an established and successful business such as Hayes Macfarlane was perfect as we continue to seek opportunities to build and enhance our services to clients. 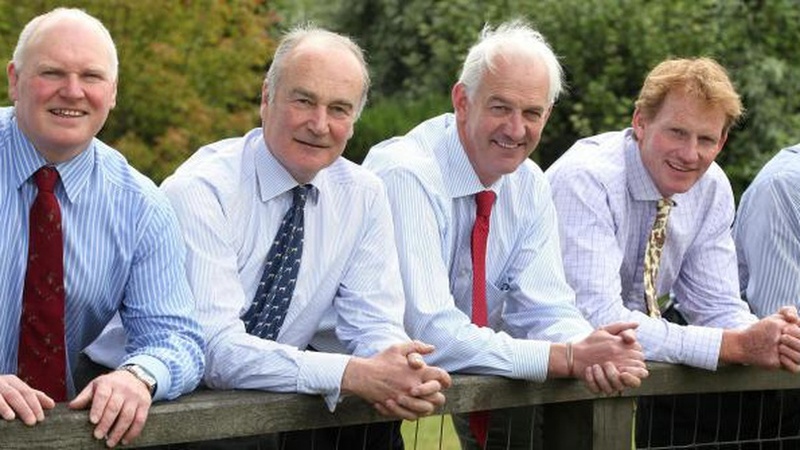 The expertise of their partners is widely acknowledged within the farming and rural sectors so to add to our presence in Aberdeenshire and Perthshire - and introduce three new respected partners to our firm in the process is a development welcomed by all at CKD Galbraith." Tom Stewart, partner in charge of CKD Galbraith's new Aberdeen office, said: "Hayes Macfarlane's merger with CKD Galbraith has allowed us to join with the leading team of rural land and property specialists in Scotland. "Our business had a good reputation and we had already been approached on previous occasions by companies who wanted us to join them. "However, we wanted to wait until the correct opportunity presented itself and the merger with CKD Galbraith provided that. CKD Galbraith is a highly respected firm that shares the same ethos we had created at Hayes Macfarlane. "The challenge now is to continue this progress to the benefit of agricultural and rural businesses across Scotland."